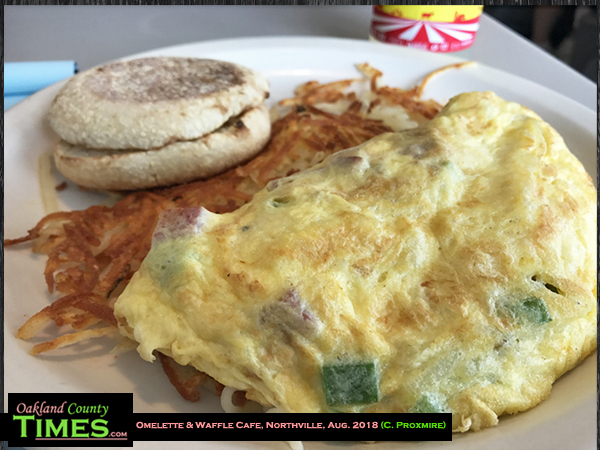 Northville, Plymouth, MI – As you might guess from the name, Omelette and Waffle Café in Northville (and also in Plymouth) specializes in breakfast/brunch. They do have a good selection of lunchtime items too, but they are well-known for their “never flat, always fluffy” soufflé style omelets. They’re made in individual skillets with nothing added to the eggs, so the taste is purely what was ordered, not mixed with whatever else is cooked on the grill. 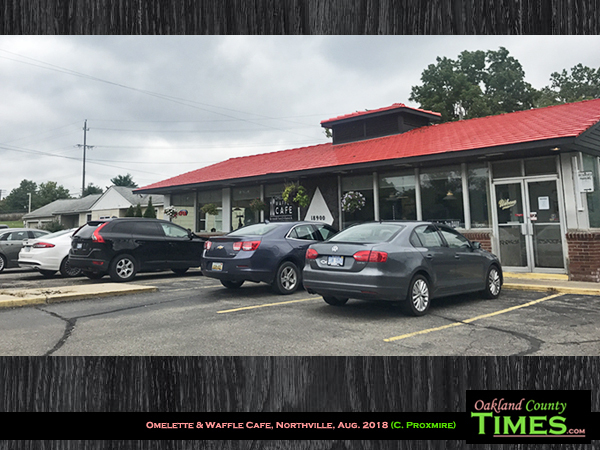 Northville is a city that is in both Wayne and Oakland Counties, and Omelette and Waffle Café is just inside Wayne, located at 18900 Northville Rd just south of Seven Mile Road. The Plymouth location is at 580 Forest Ave. I’m glad that a reader suggested this place. 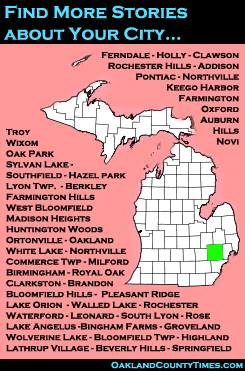 Not only was it a great breakfast spot, it’s close to several really cool parks with lots of trails. So for me it was fun to eat and then go burn off the calories exploring Hines Park. Obviously there are many omelets to choose from. Among them are the Veggie, the BLT, the Californian, the Western, the Polish and the Hawaiian. I opted for the Corned Beef Hash which came with fresh cut corned beef, chopped green pepper, hash browns, onion and Swiss cheese. This was the kind of goodness that made the corners of my mouth tingle with happiness. What a great combination of flavors, and a meal full of protein and energy. They also have a good selection of sweet breakfast foods. Waffles, of course. But also an array of crepes. 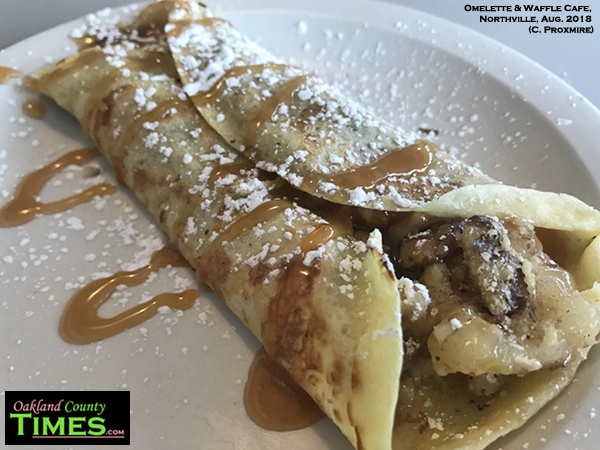 Crepes can come as a meal of three, or you can order just one to try. My choice was the apple caramel walnut. 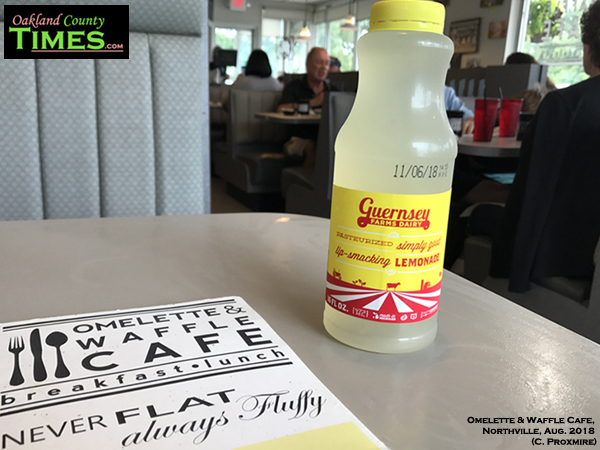 Beverage-wise they pride themselves on serving locally sourced Gurnsey milk, chocolate milk and lemonade. I had the latter and it was, as the label said, “lip-smacking” good.